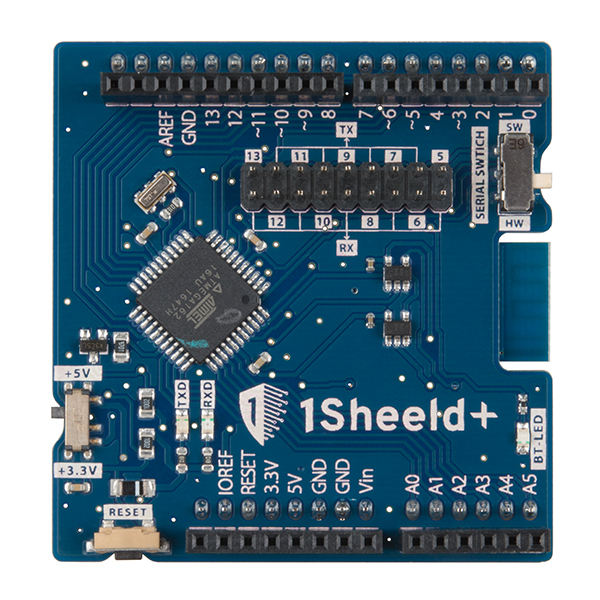 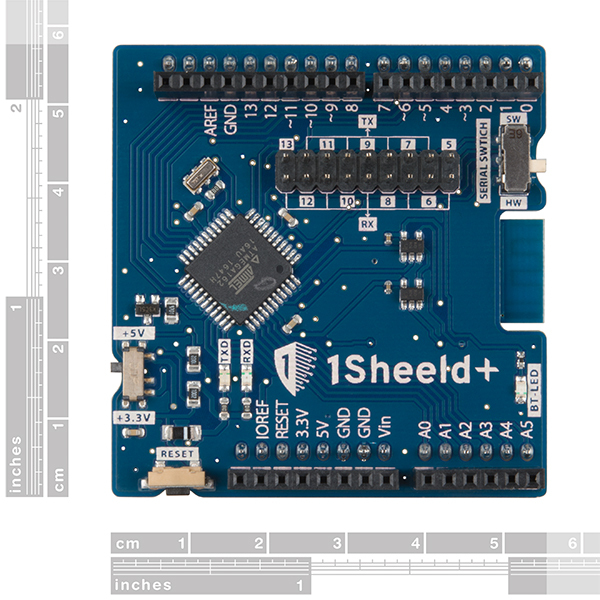 The 1Sheeld+ is an easily configured shield for Arduino. 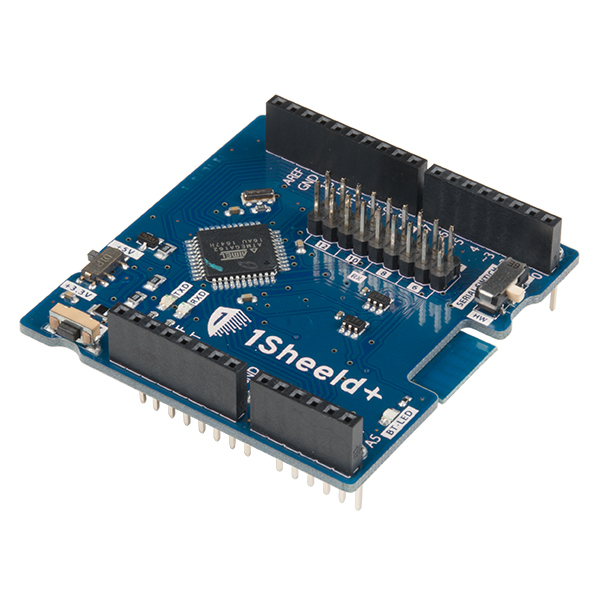 It has a built-in Bluetooth Low Energy (BLE) module that gives your Arduino the capability to connect itself to your iOS and Android phones. 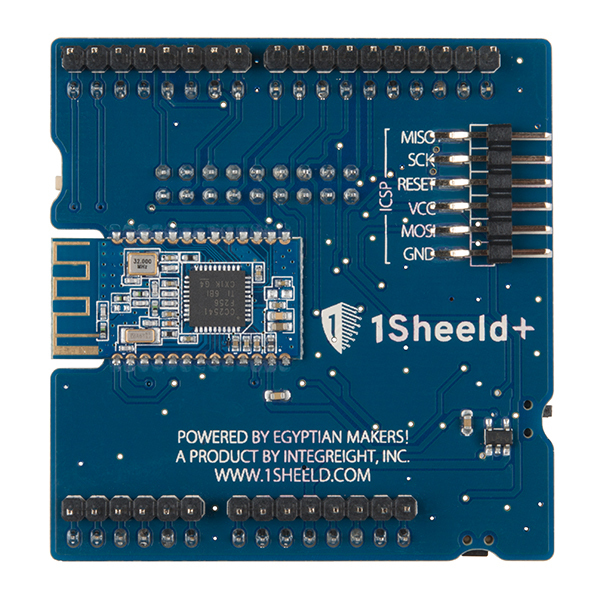 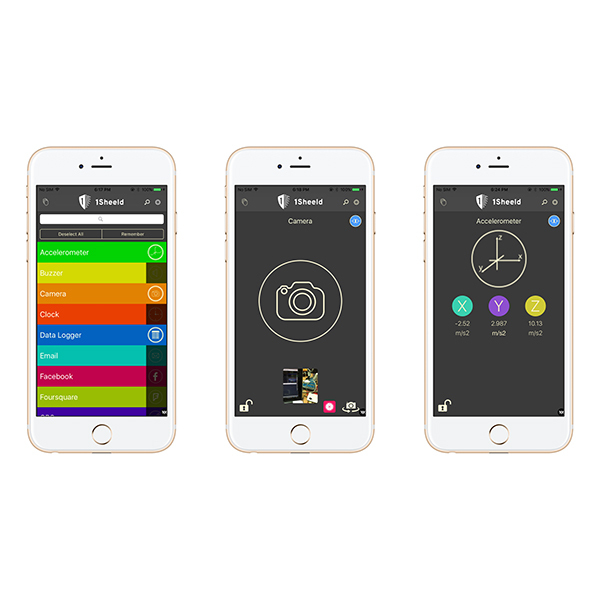 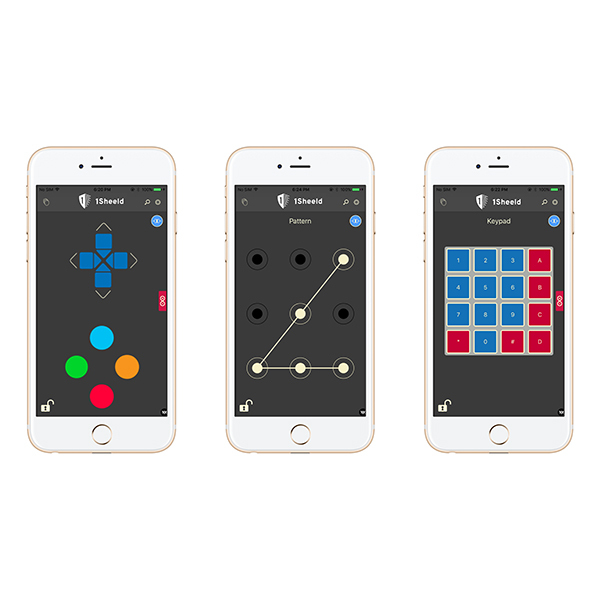 Thanks to the 1Sheeld app available on the App Store or Google Play, you can easily associate your iPhone or Android device to it, turning your smartphone into a shield itself.